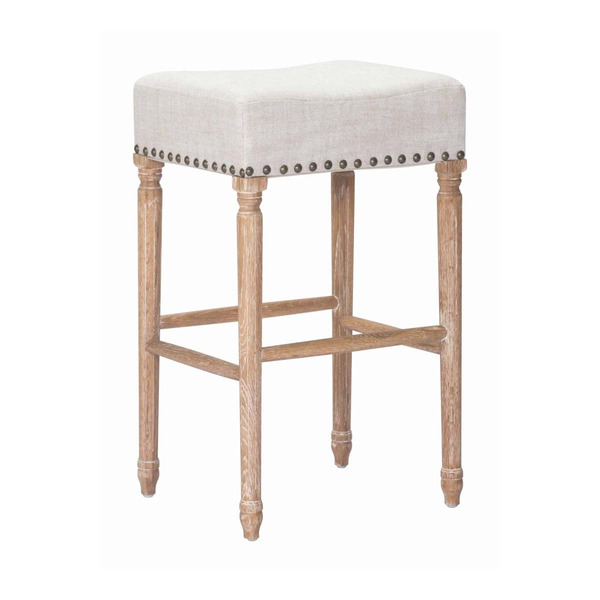 The Anaheim Counter Stool by Zuo Modern is a lovely transitional style counter height stool. This elegant chair exhibits the cool combination of beige linen and a whitewashed wooden frame. 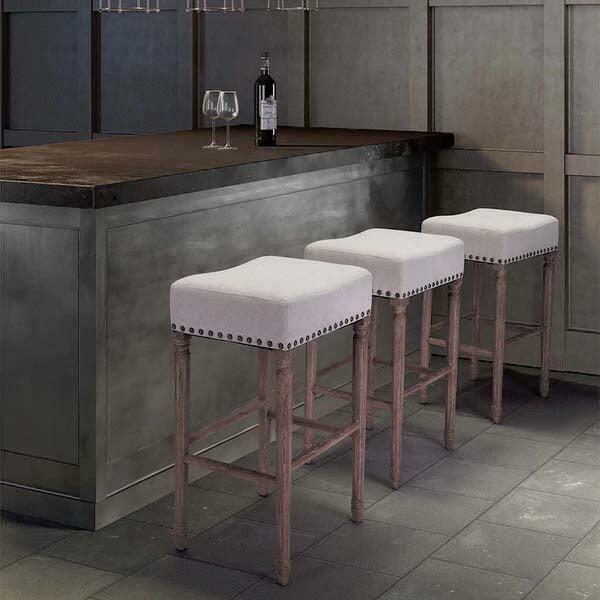 This backless stool offers a padded upholstered seat for comfort. Exquisite detailing like the vintage nail head trim and turned legs give the Anaheim Counter Stool a look like no other. Showcase the Anaheim stool in your kitchen or game room; it will lend an air of modern sophistication to your transitional décor. The Anaheim comes in a set of two stools.